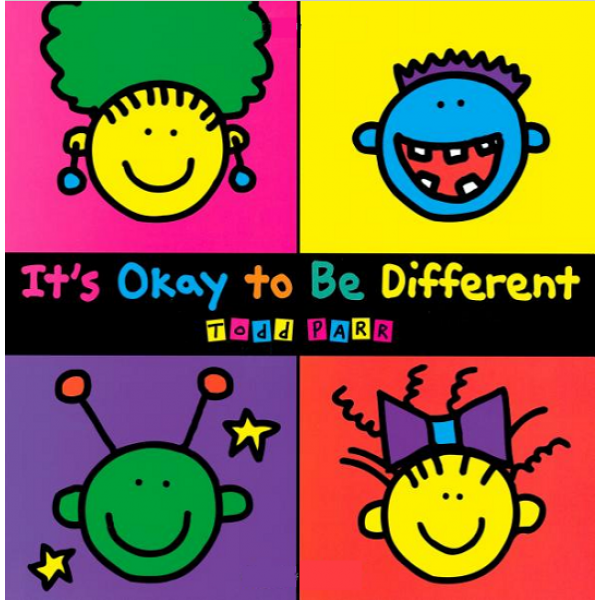 For anyone who ever doubted it, Todd Parr is here to tell us all that it's okay to be different. With his signature artistic style, featuring brightly colored, childlike figures outlined in heavy black, Parr shows readers over and over that just about anything goes. From the sensitive ("It's okay to be adopted"--the accompanying illustration shows a kangaroo with a puppy in her pouch) to the downright silly ("It's okay to eat macaroni and cheese in the bathtub"), kids of every shape, size, color, family makeup, and background will feel included in this gentle, witty book. In this simple, playful celebration of diversity, Parr doesn't need to hammer readers over the head with his message.